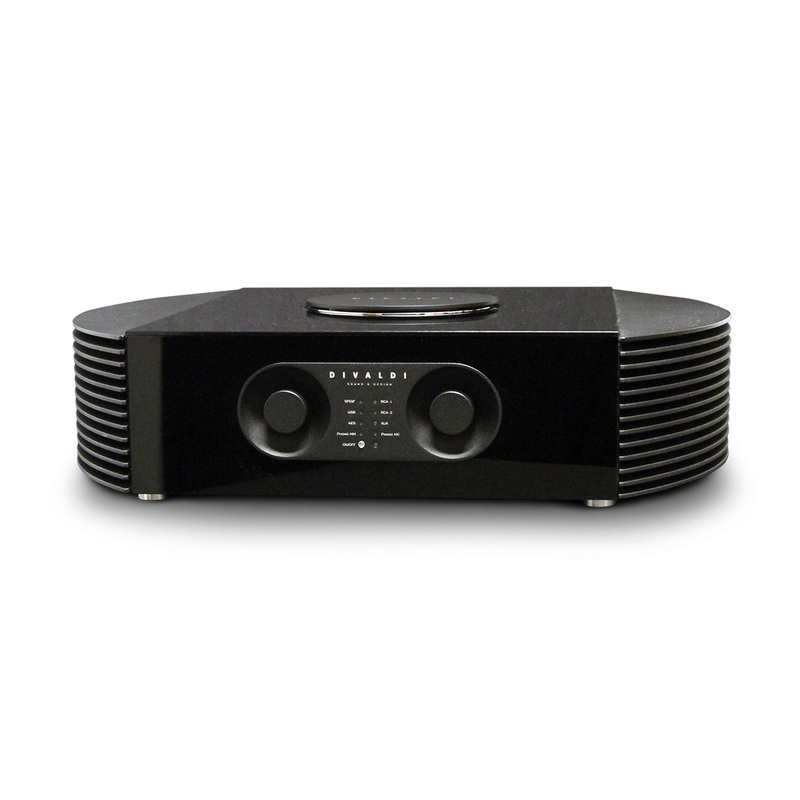 The DIVALDI INT-02 is an integrated stereo amplifier with 100W output power per channel, designed for listening to music through a set of speakers. Suitable for use with 4 – 8 Ohm impedance speaker sets. The ability to connect both digital signals (USB, SPDIF) and analog (RCA / XLR, Phono connectors) integrates all popular audio signals in one device. Stylish and original amplifier housing with specially developed radiator is a work of the best Polish designers. The heatsink was built with many elements cut from thick aluminum sheets folded and manually calibrated. The kit includes IR remote control. Power Consumption and Operating Mode Power on 95 W - 550 W max.